As early as 1938, the photographer Atte Matilainen began his career as an errand boy for one of Finland’s first professional press photographers, Osvald ‘Hede’ Hedenström. Matilainen did a good job at the newly founded photography studio, Hede-foto, and soon became an apprentice. When the Winter War broke out in 1939, it became young Matilainen’s responsibility to keep the studio running while his older colleagues served on the front line. When the Continuation War began in 1941, Matilainen signed up as a volunteer. After the war, Matilainen continued to work for Hede-foto, but now he had advanced to be a ‘real photographer’. Matilainen also worked for Olympia-Kuva Oy, a firm that was jointly founded by his former teacher, Hedenström, and others. 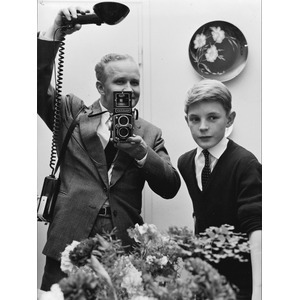 In 1951, he started his own photography studio, Foto-Atte Matilainen. Matilainen’s many customers included Suomen Matkailijayhdistys (the Tourist Association in Finland), Aero/Finnair, the medical company Orion and the car dealer Veho. In 1952, when the housing association Asuntosäätiö began to plan and build the district of Tapiola in the city of Espoo, just west of Helsinki, Atte Matilainen documented the work for several years. Early in his career, at the beginning of the 1950s, Matilainen photographed the Finnish Head of State, President J. K. Paasikivi. For 25 years he worked for the Finnish state, during President Urho Kekkonens term, taking official photos of Kekkonen during his engagements in Finland. Matilainen describes his time with Kekkonen as ‘a good co-operation’ which also led to a personal friendship. For example, the two of them went fishing together. During the European Conference on Security and Cooperation (OSCE) in Helsinki in 1975, Matilainen photographed all thirty-five heads of State. After the conference, the staff of the presidential secretariat compiled high-quality photo albums with Finland’s coat-of-arms printed on the cover. The important guests were then sent a memento of their visit to Helsinki. In 1993 Atte Matilainen closed the door to his studio on Fredrikinkatu in Helsinki for the last time. The photographing of Asuntosäätiö, the Finnish housing foundation, was one of the projects implemented with Mayor Heikki von Hertzenin. Veho, a car dealer, had all their outlets photographed from the air and this took Matilainen on a helicopter tour across Finland. The equipment were quite large in relation to the helicopter and one of the doors had to be removed to enable the shootings. Matilianen has taken pictures of many Finnish and international celebrities such Maya Plisetskaya and Jean Sibelius during his work at Lehtikuvaajat (Press photographers). Matilainen worked together with journalist Martti Silvennoinen for Suomen Kuvalehti (a Finnish current events magazine), documenting e.g. the very first heart transplant operation in Finland. 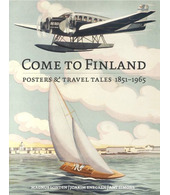 Matilainen also toured Finland with Heikki Lehmusto, commissioned by the Finnish Tourism Association. They had a natural division of work: one took pictures and the other wrote stories. The tour took them once to the Pallas fell mountain and Matilainen reminiscences “There was a reindeer with a sleigh taking us to the brand new hotel in Pallas. There was no road built to the hotel yet and we just had to park the car by the road and hop into the sleigh.” Along with the work the Tourism Board he had commissions for Finnair, shooting flights, flight attendants, Lappish men and reindeer. Meeting the king of Spain, King Juan Carlos as well as the Shah Reza Pahlavi on their trips to Lapland, are dear memories of individual encounter for Matilainen.